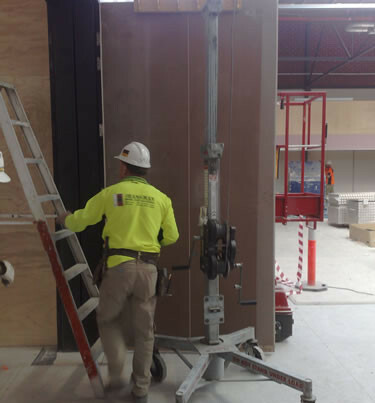 Hangman Doors have worked with a site safety officer to come up with a system for installing over sized doors. Due to their weight and size these doors can be quiet hazardous to install if not done correctly. 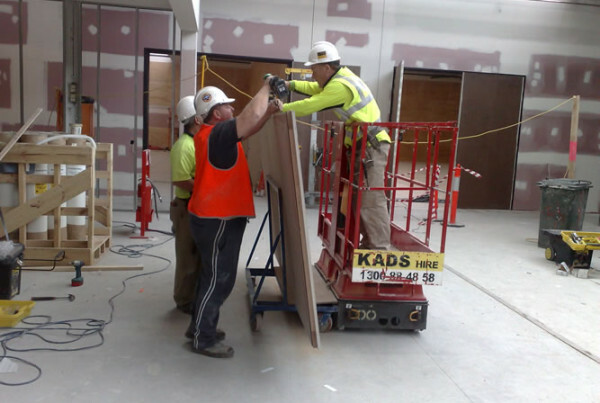 To save on manual handling hangman doors have had custom made lifting equipment to do the job safely. 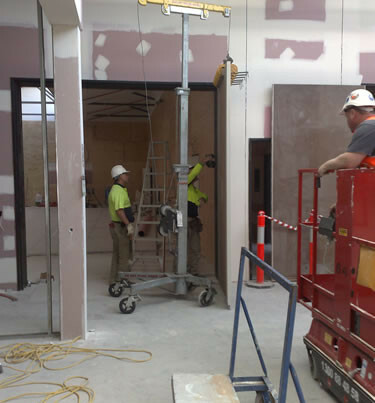 The acoustic doors shown in these photos are at the Melbourne Theatre Company and weighed 280Kg each.